Superkart.it it is born to give a point of rference where it can be possible to find support and information to easily purchase and in safety. This, powered from our passion and after having followed in youth the races of Kart champions like Ayrton Senna and Terry Fullerton, it was the "simple idea" with which everything started. 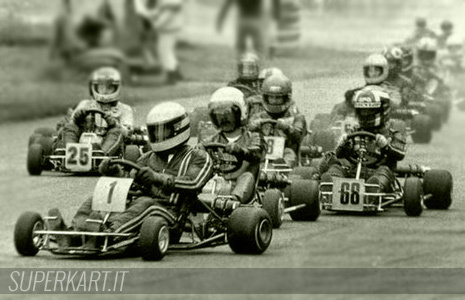 In 1995 we started eating the dust in the legendary Parma Kart Speedway where have runned "the worldwide karting history" pilots as like Giancarlo Fisichella, Jarno Trulli, Ayrton Senna, Terry Fullerton, Mike Wilson, Lewis Hamilton, ecc. And then we have run also on track in Ampugnano, Siena, Lonato, Brescia and on tracks in France like Essay and others ... Years intense and full of motivations, ideas and people. Many people. Before 2000, finding spare parts and accessories for the kart was very difficult! When in 2000 internet was "unknown" for the most, we, Stefano and Fabio strongly believed and bet on our project and laid the foundations for it. So we started! 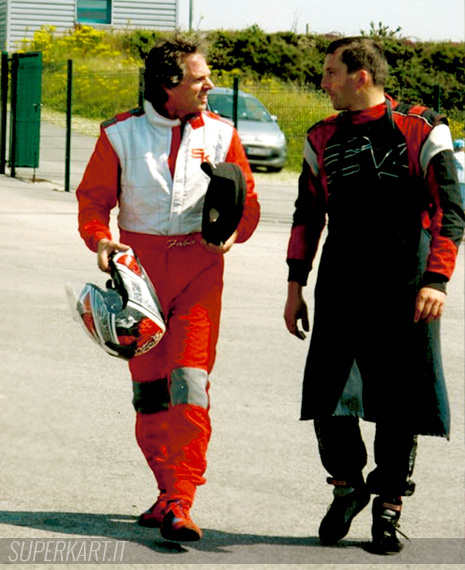 Thanks to the knowledge in karting competitions and assiduously frequenting many kart tracks, in 2003 we opened the French version of our site. In 2005 was the time for the Spanish. 151/5000 Then, after a few years, the English version arrived as well as translation and local support for the Romanian. And the site has gradually become an e-commerce Nowadays after many days we can say that we have created a very great project and we're proud of that; every day we receive many orders and we make many shipments worldwide, With us, the customer has the certainty that the items are the "right" as carefully selected among the many on the market, precisely because of our experience and expertise gained both in years of work and oil, dust and gasoline in the tracks karting. Furthermore, we created the Brand: "Superkart" that now appears on unique items that we have decided to create, to paint, to produce and to commercialize. 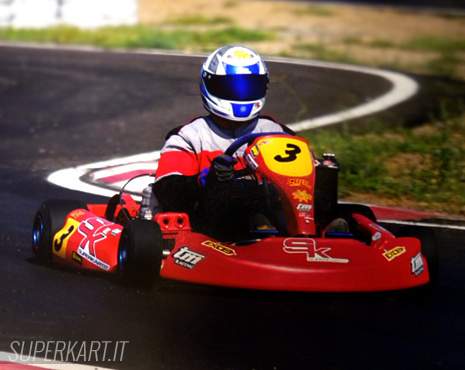 You can find just under 20 years of kart know how and we are constantly looking for the right article for every need. The right article for both very demanding riders and for riders who want to "just" have fun while practicing the wonderful sport of karting. Our joy is to have SATISFIED customers! As shown on our feedbacks, certified TrustPilot, that we received. Our support, which starts from pre-sales consulting is renowned and famous, because we are always ready to listen to the customer's voice (the mechanic or the pilot) so as to improve and solve any type of problem we may have. We can say that we are interested in the evolution instead of pure marketing, because having constant kart racers on the track that verify our materials enriches the experience of karting articles that we propose also to those of the kart that makes it just a hobby. Have a nice visit on our website!